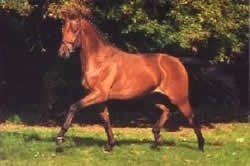 Rod was bred by David and Freda Clark of Sockburn Stud in Abergavenny in Wales and has lived in the welsh mountains all his life. Rod went for grading at the age of two but being such a laid back character didn't perform sufficiently on the day to grade. 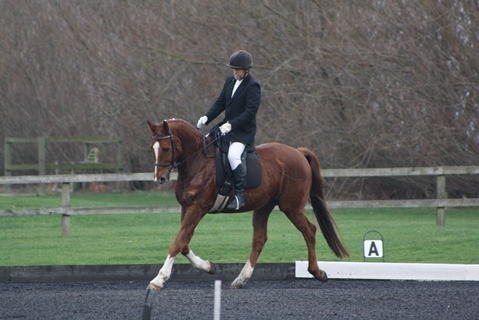 We're all pretty sure if he'd been presented as a three year old, whilst working under saddle, he would have shown the Verband just how much movement he has - he moves like a dream. He has natural elevation and positively floats across the ground. Rod has led a very sheltered life before coming to live here on the farm in April 2012 and his "working" life has now really just started. He is working well in his new surroundings although very green but his confidence grows day by day. He has been bought by us with a view to BSJA but with movement like he has I think he will have to go and do some dressage as well (yawn yawn! ).